We are a Ski Hire Shop with 30 years of experience based at Plan Checrouit. Right at the top of the first cable car from Courmayeur. We are at a strategic point where skiers can start and finish their runs. 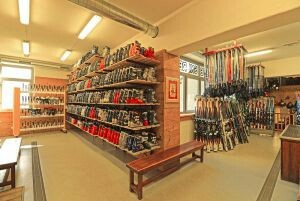 Only Ski & Snowboard is La Thuile’s top quality equipment rental shop & professional laboratory. Since 1988, we have dedicated ourselves to the latest technological trends, guaranteeing our clients access to the newest sensations of world of snow sports.